Why don’t most Illinois teachers receive Social Security? 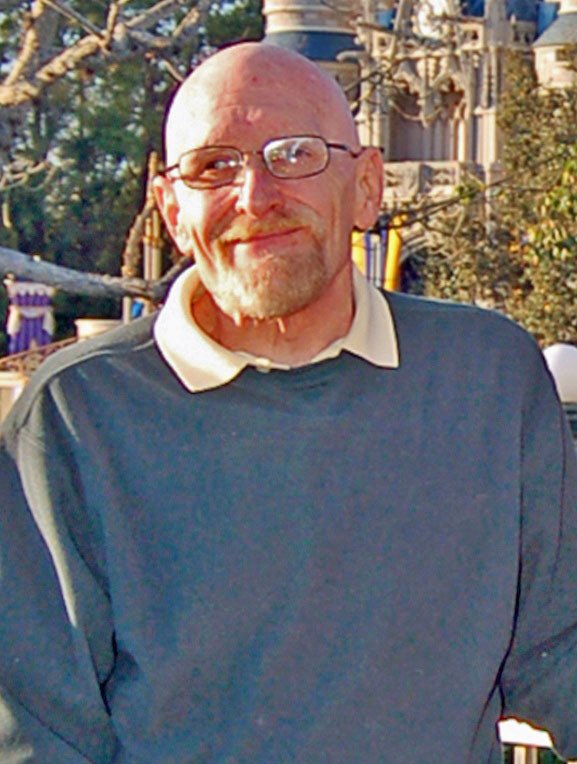 Milt Walp asked Curious City the question that spawned this story. He's a Chicago teacher currently on disability. 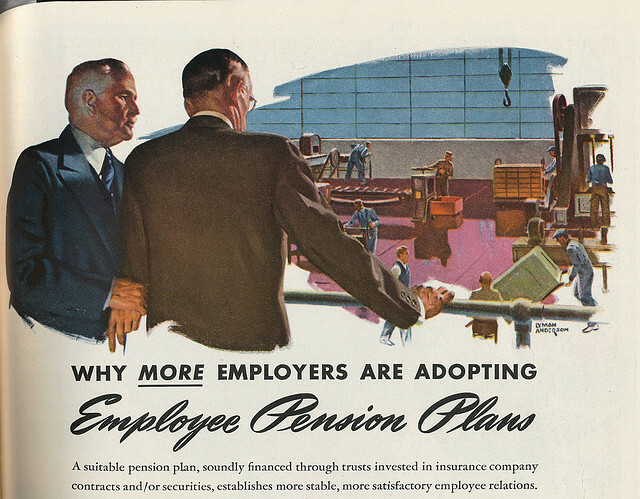 The Chicago Teachers' Pension Fund had no need to make ads like this persuading employees to choose pensions, as their own system pre-dated Social Security. 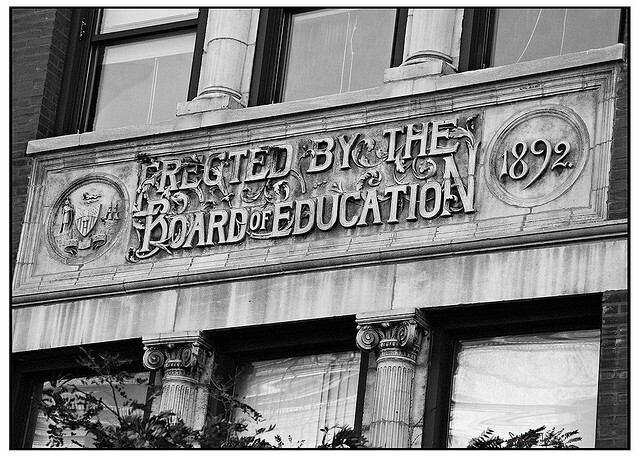 The state of Illinois established a Board of Education in 1872 that oversaw public education in Chicago. 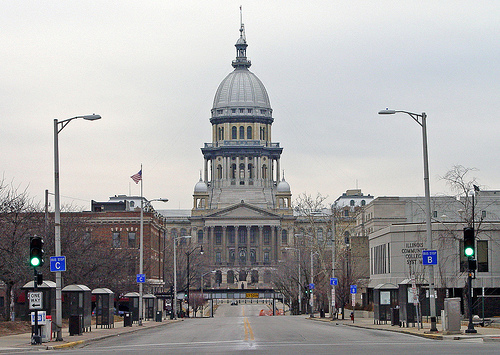 The Illinois Statehouse in Springfield will be the site of many pension battles to come. Illinois’ stack of unfunded pension obligations stands at $96 billion, according to Gov. Pat Quinn’s office. It’s a political predicament that’s soaked up Springfield’s attention for the better part of 2012, in part because the state’s pensions are the worst-funded among every state in the country. The talk surrounding the issue has ranged from the deadly serious (the governor said earlier this year that he was “put on this earth to get [pension reform] done”) to the downright unusual (check out Squeezy the Pension Python, not to be confused with Kaa in The Jungle Book). Why do government workers in Illinois have their own pensions program and not pay into Social Security, which is run by the federal government? From the get-go I figured tackling this question would be quite a bit of work, as I’d have to split attention and reporting among 18 different pension systems. That’s right; there are 18 different state pension systems in Illinois, and each one covers different types of employees with different funding mechanisms. Of those 18, two coordinate with Social Security: the Illinois Municipal Retirement Fund and the State Employees’ Retirement System. In talking with Milt, he said his question was partly inspired by his own experience: Like all Chicago Public School teachers, he doesn’t pay into Social Security. Given that, my editor Shawn Allee suggested I narrow our investigation and, with Milt’s blessing, I focused solely on why so many Illinois teachers don’t pay into the federal system. For those of you who voted for this question in a Curious City voting round, you should know that I’ll be digging into the pensions issue deeply in the next few weeks, as the legislature’s lame-duck session approaches. I’ll consider opportunities to explain why other state workers also don’t participate in the federal system. Anyway, the short answer is that when it comes to retirement security, Chicago teachers in particular beat the Social Security system to the punch; the Chicago Teachers’ Pension Fund was created in 1895, making it one of the oldest pension systems in the country. The feds, though, took until the 1930s — four decades later — to create Social Security. But even after Social Security was in place, it was still a work in progress; by the 1950s the federal government expanded the program, opening it to new classes of state and municipal workers. Let that sink in for a moment. If you don’t feel the teachers made the right call, consider the timeframe under which they made their decision. According to the Centers for Disease Control and Prevention, the average life expectancy of working-age people at that time was in the range of 60 years. So, from the Chicago teacher’s viewpoint, his or her retirement system had been humming along for (literally) the equivalent of a lifetime. The federal system — not the teachers’ own — was the newcomer, the less-tested retirement plan. The logic is similar for teachers outside Chicago. The Illinois Teachers’ Retirement System, or TRS, was created in 1915 to cover teachers in the suburbs and downstate Illinois. Urbanek says he hasn’t seen much documentation examining the decision not to join Social Security because he’s not sure teachers ever clamored to get in. The Teachers’ Retirement System would’ve had to fill out some forms to get into Social Security, but it wouldn’t have had to document its decision to keep things as they were. The beauty of Milt’s question is that it forces us away from the current hullabaloo over Squeezy the Pension Python (from the video above) or dust-ups between formidable political players (e.g., Gov. Pat Quinn and legislative leaders from both sides of the political aisle). Instead, it gets to something more fundamental: In the 1950s both teachers and the employers (the state and Chicago Public Schools paid into the system) preferred their own systems over Social Security. What led them to keep striking their own deals rather than take up a New Deal program? The two systems — one for Chicago and another for the rest of Illinois public school teachers — operate differently, but they both benefit the retiree compared to Social Security. For example, in TRS, teachers contribute the equivalent of 9.4 percent of their salary, and the school district contributes the equivalent of .58 percent. But Urbanek says there’s another player here: the state of Illinois, which he says chips in the equivalent of 28 percent of the teacher’s salary. All told, then, an Illinois teacher outside Chicago that participates in this program has the equivalent of 38 percent of his or her salary put aside. Where does Social Security stand? Under that system, both the employer and the employee contribute 6.2 percent of income, for a 12.4 percent total set-aside. Even if you don’t account for Social Security’s lower payout, the lower total set-aside alone puts it at a disadvantage. The details and formulas governing each system have changed over the years, obviously, but on the main the federal program was never an attractive alternative. The same situation prevails for Chicago teachers, too. Huber says Chicago teachers pay about 9 percent of their salary into their retirement plan and, although the exact amount fluctuates year to year, the Chicago Board of Education is supposed to contribute about that same amount to the Chicago Teachers’ Pension Fund. It might seem like a bad deal for the teachers, but Huber says their total payout is higher than what they’d receive under Social Security. But Huber goes on to explain another reason other than just higher returns, one that involves the state’s, um, “flexible” contribution. That is, the federal government actually enforces policies that ensure both employers and employees contribute to Social Security. Teachers’ pensions work differently, though. Springfield is not in the habit of collecting on its own obligations to TRS, and no one’s effectively pushed the issue at the Chicago school system, either. Hence, Huber says that the Chicago Board of Education didn’t contribute to the teachers’ pension fund from 1995-2005 and that state funding meant to help the fund didn’t come through. He says this is one reason why the Chicago Teachers’ Pension Fund was about 60 percent funded in the 2011 fiscal year. If Illinois teachers or governments that pay into teachers’ pension systems changed their minds and wanted to flee into the arms of Social Security, they’d have a rude awakening. Laurence Msall of the Civic Federation, a Chicago-based fiscal watchdog group, says CPS is supposed to pay more than it would under the federal system. The problem is that, in practice, it’s sometimes paid almost nothing at all, and it’s fallen behind in its obligations. If the Chicago teachers’ pension system would disappear, CPS would likely have to pay into Social Security and, as we said above, you can’t avoid the tax man so easily. The state’s in the same boat. Since Springfield is its own enforcer, it has successfully paid as little into TRS as it could get by with. The problem, Msall says, is how untenable the current situation is: If the state and CPS don’t make their contributions and the pension systems aren’t fully funded, there may not be enough to pay every retiree. So, getting back to Milt’s question, part of the answer of why Illinois teachers don’t pay into Social Security is that they’ve had “better” deals, but lately these deals come in the context of dodged payments on the part of their employers. So, the real answer can’t just boil down to a strict numbers game; it has to do with trust, too. So far, teachers’ pension systems have trusted that the state of Illinois and Chicago Public Schools will eventually pay enough to cover pension obligations. That’s despite questions about who will pick up the pension tab while also balancing payments with other public goods, such as education, roads, parks and public safety.